This new edition shows you how to build supply chains that work by illustrating how leading companies are doing it. Identifying world-class supply chains in more than a dozen different industries and explaining in detail how these companies got to where they are, this essential book reveals the proven strategies, solutions, and performance metrics used by leading companies to design their extended enterprises. 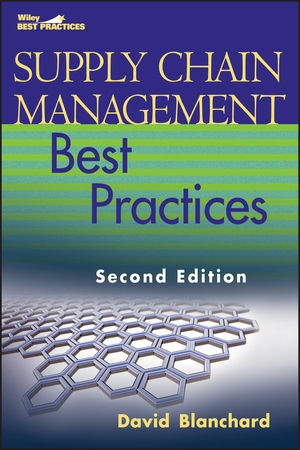 It also offers guidance on the latest technology, green supply chains, going lean, how to choose third-party logistics providers, and how to manage the supply chain in a global environment. DAVID BLANCHARD is an award-winning journalist and the Editorial Director and Associate Publisher of Penton Media's Supply Chain Group. He has served as editor-in-chief of several Penton magazines, including IndustryWeek, the leading publication for manufacturing professionals, Logistics Today, and Supply Chain Technology News. He has also launched and edited numerous print and online publications covering the supply chain, transportation, manufacturing, and computer industries. He is a frequent speaker at major supply chain industry events. He lives in a suburb of Cleveland, Ohio.